If you have a property for sale in Inwood TX, New Braunfels, San Antonio, Schertz, Spring Branch or Stone Oak TX, then the Allen Realty Group can help. They can also help you if you are looking to buy a property for sale in the area. They are a Remax Associate and thy know real estate well. They deal in all types of properties including residential and commercial properties. 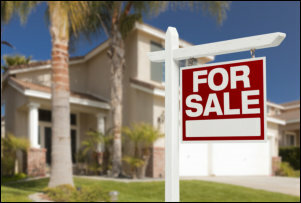 If you have a property for sale, then one of the important things is to establish the right price. If you set the price to high your house won’t sell, and you will end up lowering the price anyway. If you set the price too low, you will have a quick sale, but you will be throwing money away. The team at Allen Realty can help you set a realistic price for your home or commercial property. They use some advanced techniques such as Comparative Market Analysis (CMA) to help determine the true value of your property. The other thing they have is experience. They know what can sell at what price and will be a difficult sale. They also know how to market your property effectively and will find you the right buyer. If you are looking to buy a property you will find many options. Whether you are looking for a condo, a town house, a free-standing home, a multi-level home or a ranch, Allen Realty can help you find what you are looking. Finding the right home is one of the first steps to a great new in life in the San Antonio region. When it comes to help with property for sale in Inwood TX, New Braunfels, San Antonio, Schertz, Spring Branch or Stone Oak TX, you need look no further than the Allen Realty Group.